Dress up a mug by gluing a scrapbooking border just below the rim. 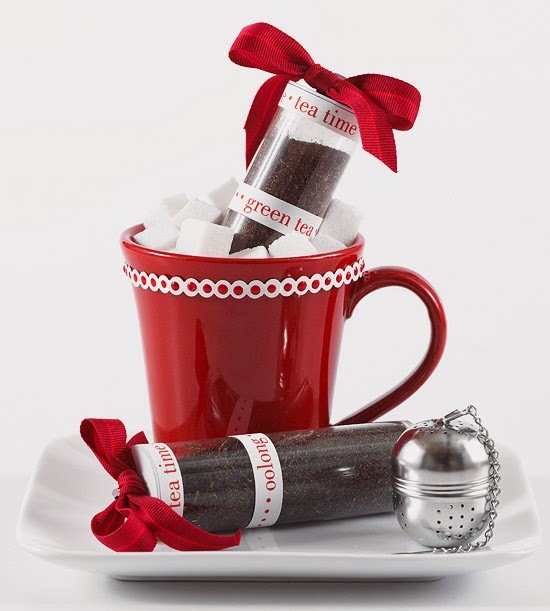 Set the sugar-cube-filled mug on a small plate and add a tea ball and lidded clear tubes filled with loose-leaf teas. Identify the teas on computer-typed labels. Trace around a jar lid on paper; cut out. Glue the paper circle to the lid. Cut a piece of ribbon to fit around the center of the jar, and glue it to the jar. Fill the jar with goodies and finish with an ornament and ribbon attached to the lid if desired. Nestle cookies inside a classic colander, wrap with ribbon, and personalize with a handwritten note on a round tag. 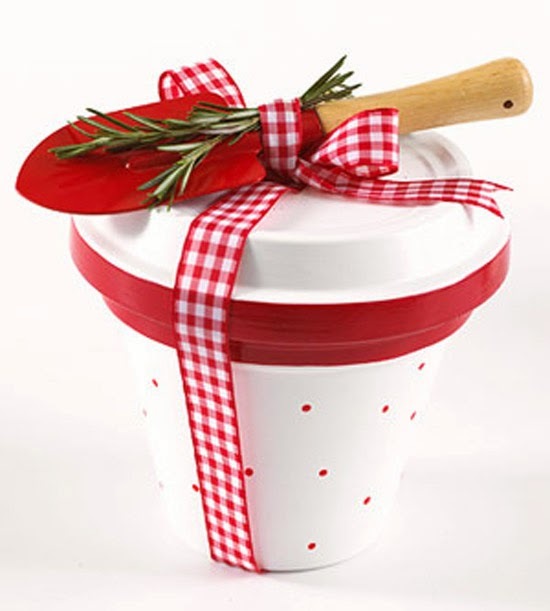 Paint a flowerpot and saucer with glossy white paint. Use a foam brush to paint the rims a coordinating color. Fill the container with potting soil and a packet of seeds. Turn the saucer over on top of the pot. 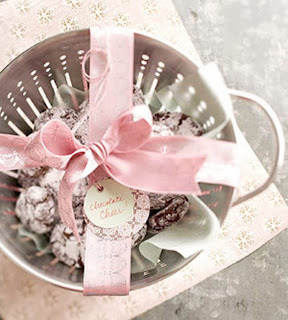 Tie together with ribbon, and tuck a trowel in the bow. 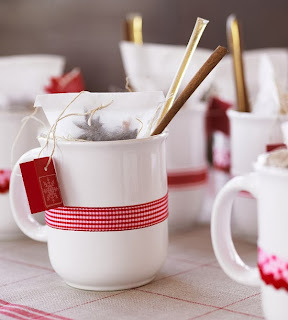 Purchase a plain mug and adorn with ribbon. For a handmade tea tag, cut a small piece of paper and decorate appropriately. Tie to purchased or homemade tea bags. Tuck in cinnamon sticks for added smell and taste. 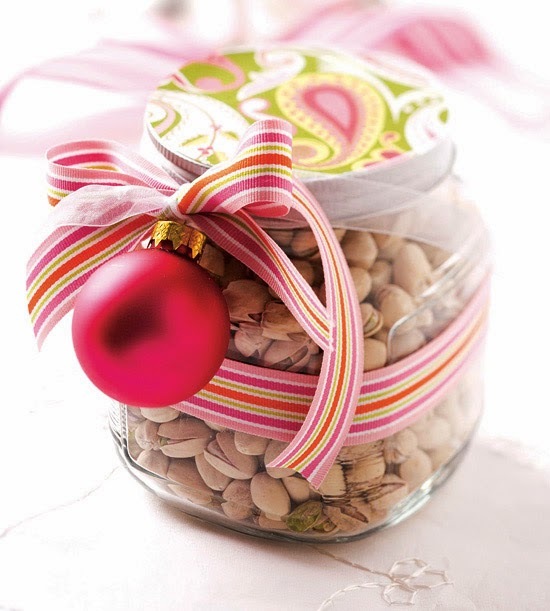 Jars make great gift containers. 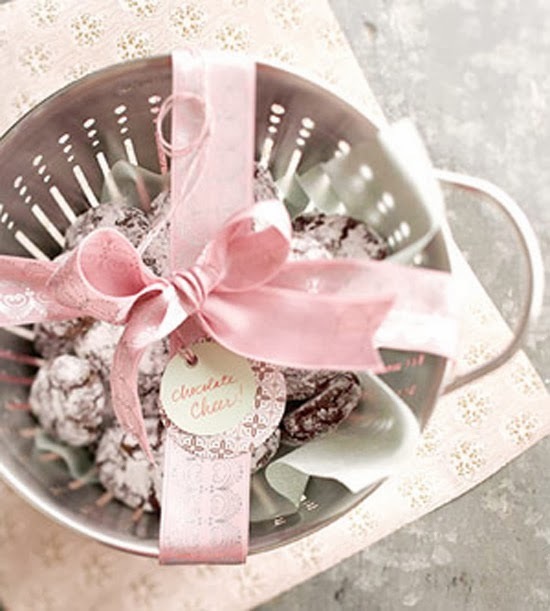 Discover dozens of things to wrap around them. 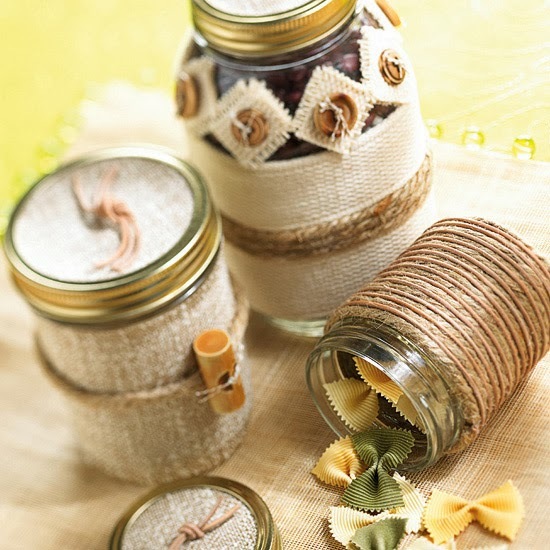 Wrap with jute, banding, yarn, raffia, braid, ribbon, rope, embroidery floss, and torn fabric strips. Choose an adhesive that works for both glass and the decorative trim. Collect little finds to pull off this great gift. 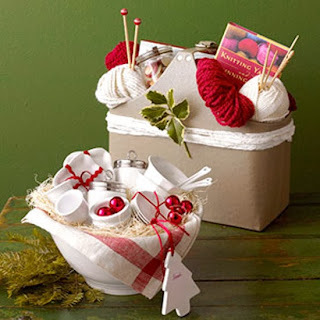 Know a knitter? Pack a roomy tote with yarn, fancy needles, books, patterns, and a jar of funky buttons. For the collector (ironstone, transferware, porcelain, glassware), fill a big bowl or tray with a variety of smaller items. Cushion fragile finds with classic red-and-white tea towels.